The track was part of the former RAF Upper Heyford air force base which was used by the US Air Force and which closed in 1993. 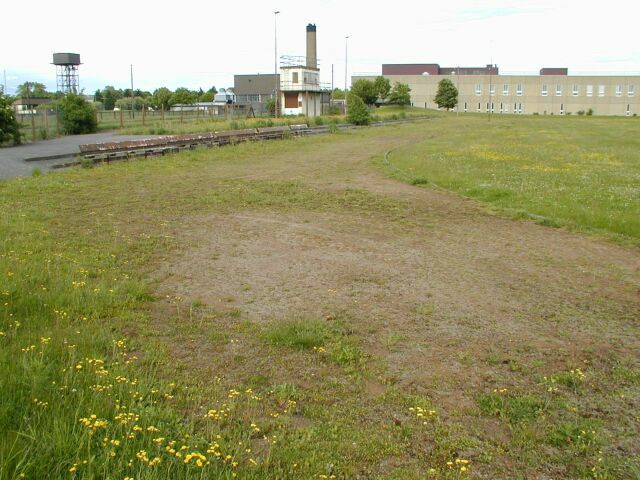 The buildings on the side of the road opposite the airfield where the track is located have been deserted and the track has suffered a similar fate. The surface of the track is quite overgrown and is no longer used. A sign at the track indicates that the infield was also used for either football or the American version and there are rugby-type posts in the overgrown infield. It is not certain whether the track is 400m or 440y. At one stage the former air base was to become a new international airport instead of Terminal 5 at Heathrow. The base was then put up for the new National Centre of Sport, with the track being upgraded to synthetic and other facilities being built but they lost the bid to Sheffield. As of 2003, the site is owned by North Oxfordshire Consortium who are seeking planning permission to convert part of the base into housing.